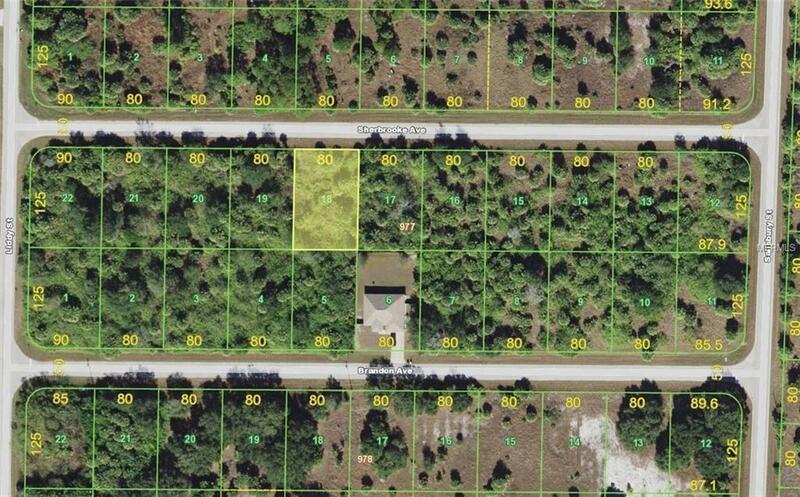 Beautiful 10,000 square foot building lot located in Port Charlotte. 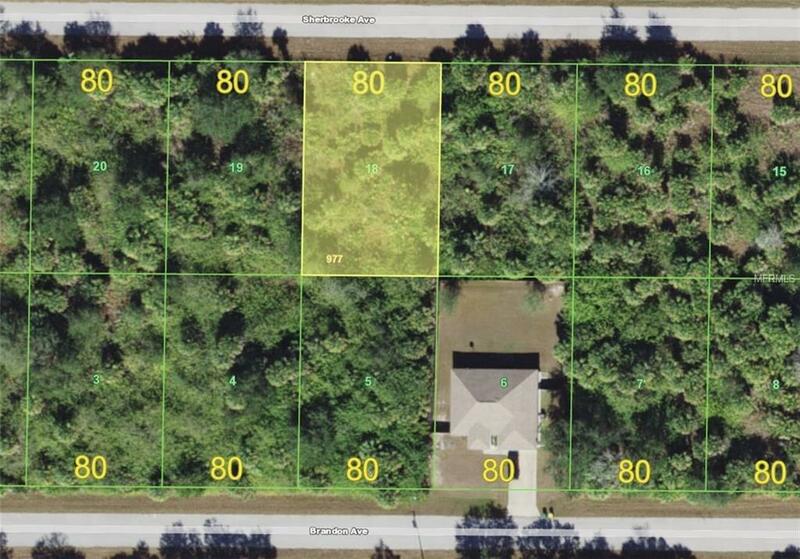 Perfect opportunity to build your custom home with pool. Lot is not in a flood zone and no scrub jays (check again with county website to ensure nothing has changed). 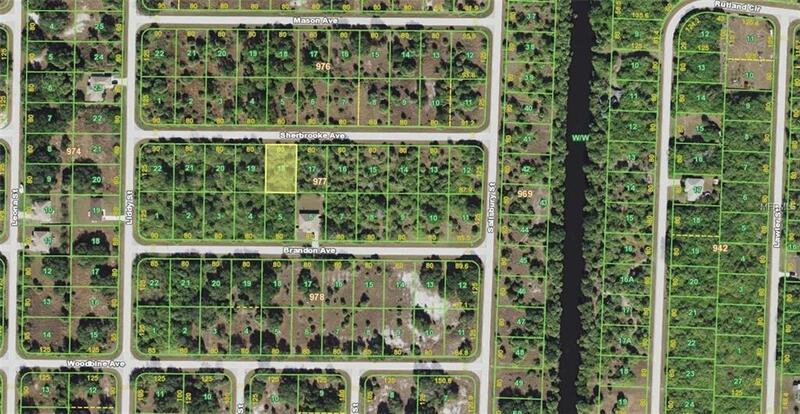 Up and coming quiet neighborhood but in close proximity to US-41 and I-75. Port Charlotte has more than 165 miles of waterways, providing access to Charlotte Harbor and the Gulf of Mexico and many more miles of natural shoreline bordering Charlotte Harbor and the Peace and Myakka rivers. But that's not all. 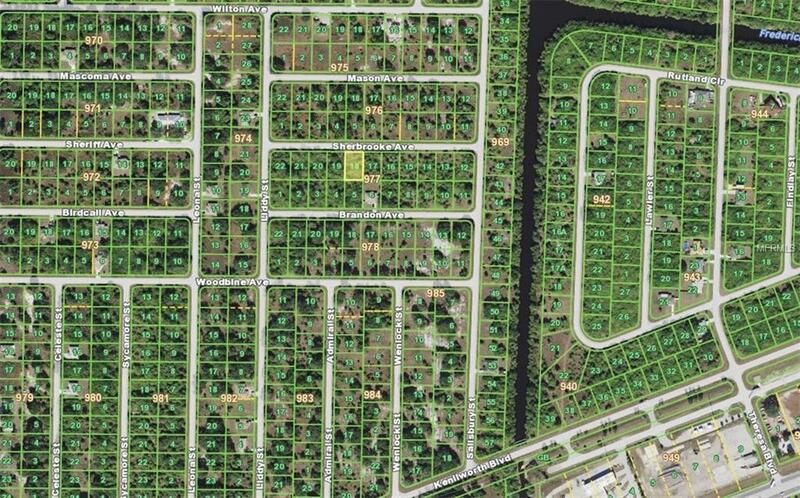 Seven of the 21 golf courses located in Charlotte County are found in Port Charlotte. Charlotte Sports Park is home to spring training for the Tampa Bay Rays. Tippecanoe Environmental Park in Port Charlotte offers hiking trails and wildlife viewing through 380 acres of scrub and pine flat-woods. Shopping, entertainment, restaurants and more. Build your dream home today!